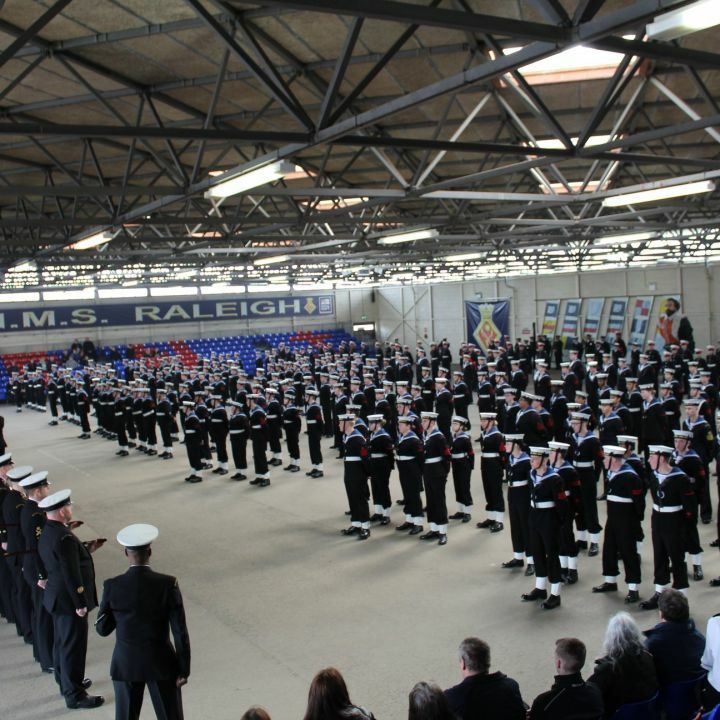 Over the weekend around 300 cadets gathered in Torpoint, Cornwall at HMS Raleigh to battle it out at the National Drill and Piping competition. The best units and detachments were selected from 6 areas across the UK to compete amongst each other to win ‘The National Boxing Cup’ – the trophy given to the best performing area. The competion comes down to being in sync with the rest of your team and performing at the highest level. Just being a little bit behind in movement or piping could be the difference between first and last. This year South West Area won the overall competition. South West Area Officer Nigel Morton said "I am delighted that South West Area did so well at the National Drill and Piping competition. Huge credit goes to the cadets who performed so brilliantly, with such pride on the day, and who have been working so hard in the last weeks and months. I am also very grateful to all the adults who have been involved in training and supporting Drill activity across the area, and who were there supporting on the day. I know that standards were high – well done to all those competing from across the country, and to all who made this great event happen and run so well. " 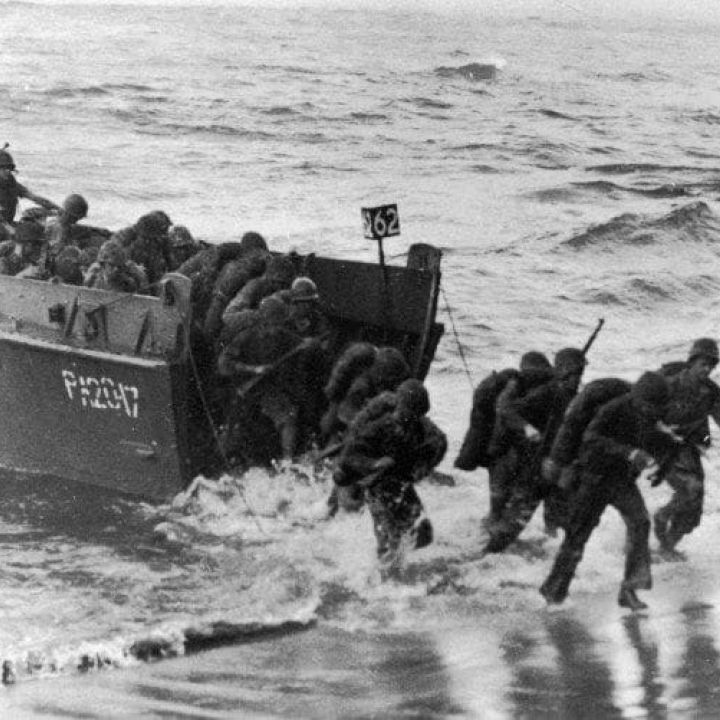 We are looking for stories about how Sea Cadets (The Navy League/Girls Nautical Training) were involved with D-Day. If you have any information or any stories relating to Sea Cadets and D-Day, we'd love to hear from you! I was delighted to have been invited to visit Sea Cadets flagship TS Royalist, which is traditional tall ship. Sea cadets and royal marines cadets can spend a week on board this training ship, developing new skills and making new friends. At one-year and three-months-old I was definitely the youngest on board. Sister ships TS John Jerwood and TS Jack Petchey can take cadets from 12-years-old because they are powered vessels. The rope handling on a tall ship is a bit more physical so TS Royalist trains cadets aged 13 to 17-years-old. Given my youthfulness I was a little surprised to be told that I reminded one cadet of his grandma! But he quickly explained that he meant “wise and experienced”. This seems plausible. I am a pretty magnificent moggy. Hello to grandma! As an experienced prowler of Royal Navy warships, I had never been on board a sail ship or met any sea cadets or royal marines cadets before. I needn’t have worried as they were all very welcoming and most of them were on their first sailing trip too. My cadet shipmates were from units all over the UK and so day one was spent settling in, getting to know their new cabin mates, with the help of the experienced and friendly permanent staff. I joined for day two which was the first day at sea. We spent the morning learning some essential safety rules, practicing putting on safety harnesses and having our first go at climbing the rigging; which is an important part of setting the sails at sea. Sailing a tall ship is completely different to being at school and was new to all of us. Some cadets quickly discovered a hidden talent which they didn’t know they had while the rest of us needed a little longer and a bit more practice to master new things. This is fine; there were ten staff on board to assist us and fellow cadets encouraged each other well. Every small step forward (or upward!) is celebrated. As soon as they climb onto the very first rung of the rigging ladders cadets have achieved something new and with a whole week in which to gain confidence, everyone enjoys personal progress. I had a few difficulties with my claws getting stuck in the rope but I made it to the ‘first floor’ of the rigging, about a third of the way up. The sea breeze really gets in your whiskers up there – lovely! Teamwork is an important part of the training. This can be anything from taking your turn as duty mess cadet, helping to serve hot food to those who have been out on deck; making sure that you’re pulling the right rope at the right time to coordinate with everyone else, or heaving heavier ropes as part of a group. 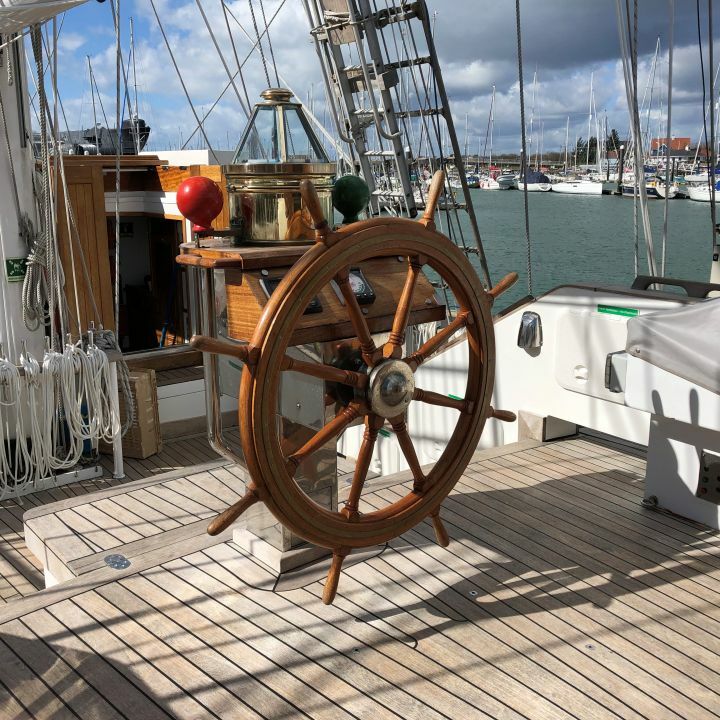 ‘Learning the ropes’ is a phrase which has its origins in sailing and with one hundred and twenty “ropes with jobs” on TS Royalist, I can see why! Lunch, cooked by the full time chef, was soup followed by pulled pork baps. On Sunday evening we had a traditional roast dinner. The smell of turkey had been wafting through the ship all day so it was a relief to finally get my paws on some. Several cadets had vegetarian meals and having let him know in advance, the very nice chef also catered for my feline needs. Purr-fect! 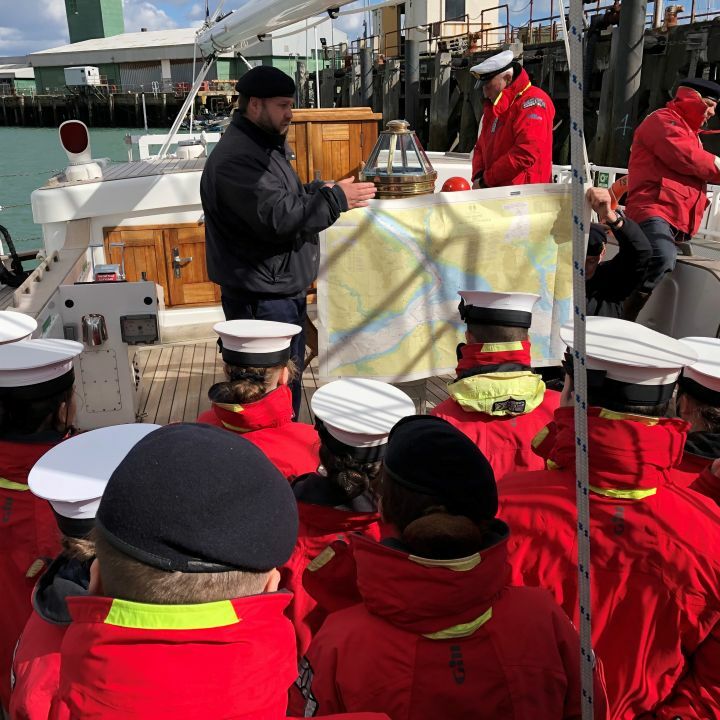 As well as being a lot of fun, TS Royalist provides a very different environment in which to discover and develop your individual strengths and identify and work on areas for improvement. For me a strength was that I am comfortable with heights. It’s a cat speciality. My main area for improvement was team work as I can be quite easily distracted by food and warmth. After my tail had been trodden on a couple of times I learnt to pay more attention to where I was in relation to feet and moving ropes! All in all, it was a brilliant trip in a fascinating vessel. The staff are wonderful and have years of experience of working with young people at sea; they make sure that everyone is well looked after, including this Ship’s Cat. A big thank you to Captain Sea Cadets for the invite on board, and also to the lovely staff and cadets who made me so welcome. Enjoy the rest of your training season, TS Royalist! A Naval charity that has helped connect lonely veterans to the Internet has won a prestigious national award - with the help of the Sea Cadet Corps. 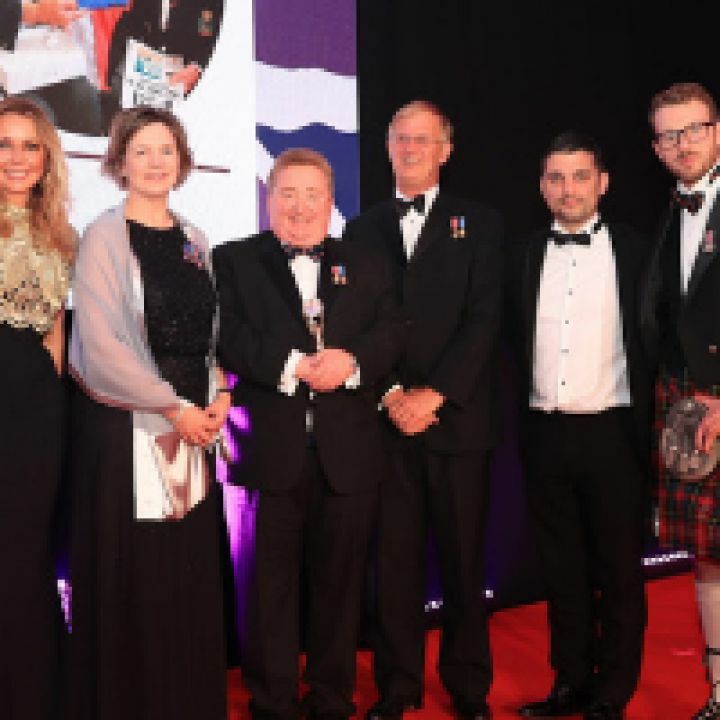 Project Semaphore, one of the Royal Naval Association (RNA)’s flagship initiatives, took the honours in the People’s Choice category at the annual Soldiering On Awards. The project aims to help alleviate loneliness and improve the finances of digitally-isolated veterans by issuing Apple iPads and training individuals in how to benefit from access to the Internet. Once they are trained, veterans including those with limited mobility can use their new iPads to message and video-call far-flung family members or old friends and can take up new hobbies or research the history of their old ships online. The training programme, carried out by more than 70 volunteers, also provides social interaction; many of the trainers were RNA members but Naval Reservists and members of Sea Cadet units also got involved, reinforcing the inclusivity of the Royal Naval family. Current RNA General Secretary Bill Oliphant said: “Project Semaphore is a perfect example of the ethos of today’s Royal Naval Association. Project Manager Sarah Clewes, herself a veteran, said: “We are delighted to have won – thank you so much to all those who voted for us. This Award is recognition for all those who have given their time to volunteer, stepped outside their comfort zone to learn how to use an iPad, and for the range of like-minded organisations and charities who have helped us reach more veterans. I have seen the extraordinary effect that this programme has had on lonely individuals, with veterans in their 90s suddenly able to chat regularly with relatives on the far side of the world – relatives they had not seen or spoken to in years”. Ship's Cat Visits TS Royalist! The ship's cat used to be a common feature on many trading, exploration, and naval ships dating to ancient times. Cats were carried on ships for many reasons, most importantly to control rodents and in addition, offer companionship and a sense of home to sailors away from home. Nowadays the ship's cat is a thing of the past... or maybe not? A 'cat' that once belonged to HMS Elizabeth, but has now come ashore to explore other ships visited Sea Cadet's TS Royalist! The cat jumped on board for two days to watch our cadets unfurl the sails, manually pull sea boats up - plus so much more! Ship's Cat even joined for dinner... although there wasn't much food there for a cat! Ship's Cat said, "What a ship! And what an enthusiastic bunch of young people, working together to improve themselves while having fun along the way. The future is bright!" To see the Ship's Cat's full experience on Royalist click here.